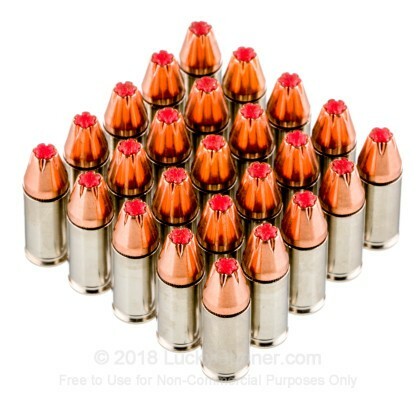 This ammo has performed very well in FBI tests maintaining great weight retention through all barriers helping it to achieve the required 12-18" of penetration into gelatin after passing through the established barriers. 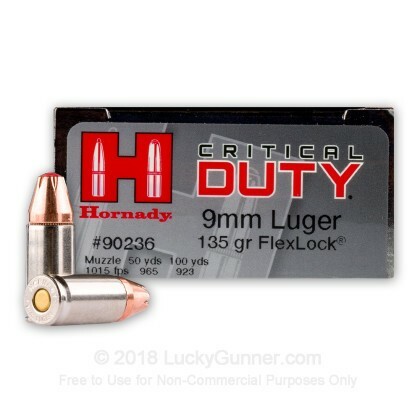 The FlexLock bullet incorporates Hornady's patented Flex Tip that initiates expansion every time while preventing clogging along with their Interlock band that prevents jacket/core separation. 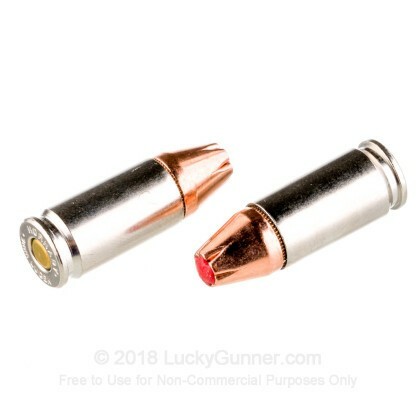 Jacket/Core separation is where most non-bonded JHP bullets fail in penetration tests because when the lead core and copper jacket separate from each other their lighter weights aren't able to achieve the needed penetration to bring down an assailant. 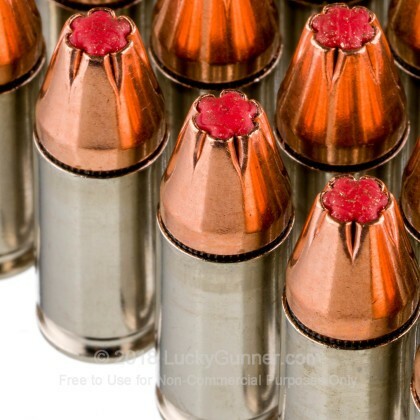 The Interlock band prevents this occurrence. 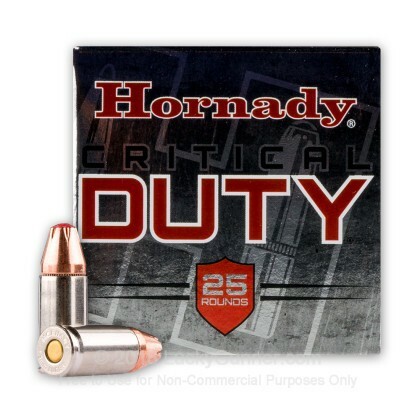 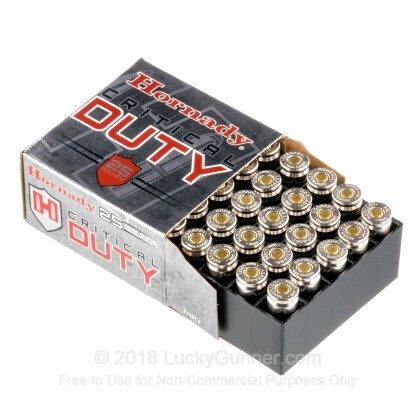 We also have this 9mm - 135 gr FlexLock JHP - Critical Duty - Hornady - 25 Rounds ammo in stock in a smaller quantity.